In the centre of the roof is a clear covered wheel which gives you views of the sky in the day and views of the stars at night. 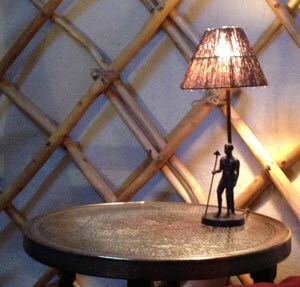 The yurt is completely lined with felt, making it cool in the summer and warm when it turns cold. There’s storage space and an electricity supply for reading lights.